You've made the colour combination work perfectly. That is so very good, Dice! I forgot I had this thread. Good heavens. 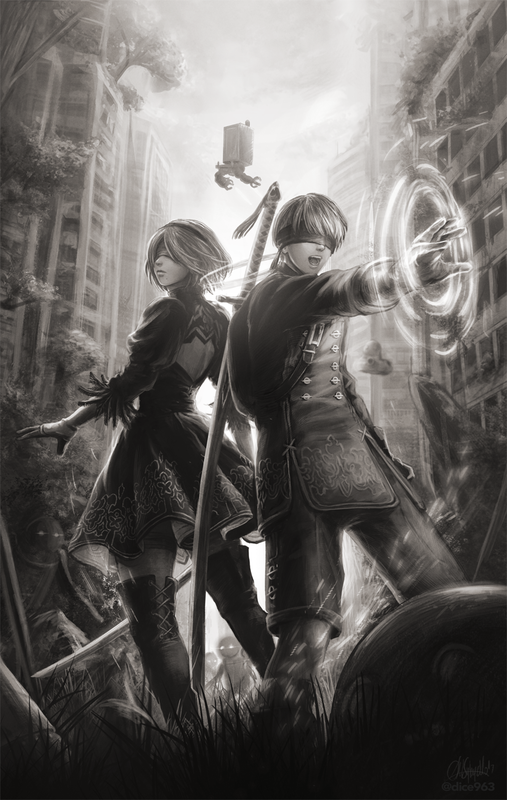 Probably one of the best bits of Automata fanart I have ever seen. Definitely. You did a great job. I actually thought it was official promo art at first. You are beyond talented, Dice. Like, scary good. I barely even open this forum let alone post in it, but I had to at least mention how amazing your art is.